For the second Saturday in a row, I stopped by Anheuser-Busch Brewery in Fort Collins for a vintage car-gawking event. 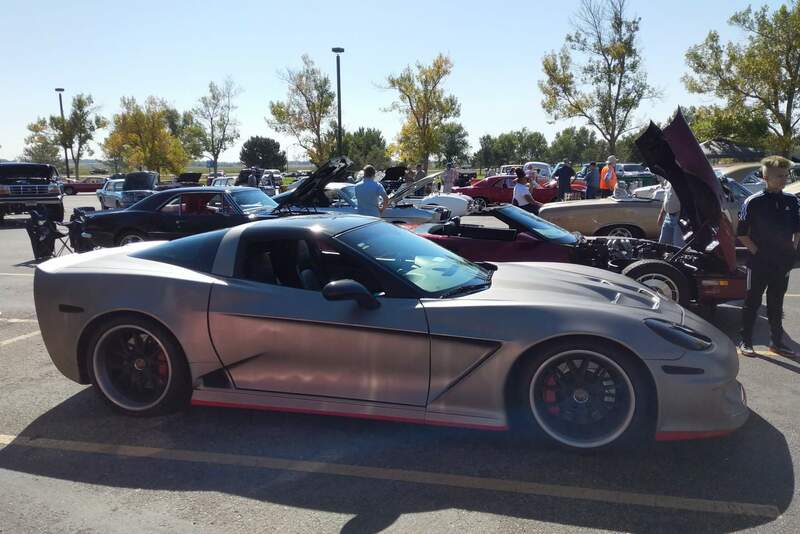 This one was the Poudre Valley Lions’ 13th Annual Car Show. And why not? The Budweiser factory, after all, at three miles away is the closest business to my home. It was just a 15-minute hop, pedal, and roll to there on the Huffster cruiser bike. Compared to last week’s Hops & Hot Rods extravaganza, there were only a fraction of the vehicles on display (maybe three dozen). But the cars that were present were immaculate. Here are a few of the ones that particularly caught my eye. The first was a matte silver, sixth-generation Corvette heavily customized by a company called Specter Werkes of Troy, Michigan. This so-called Specter GTR featured body panels and wheels made of carbon fiber, custom exhaust tips, and twin turbos that help the engine generate an astounding 800 horsepower. 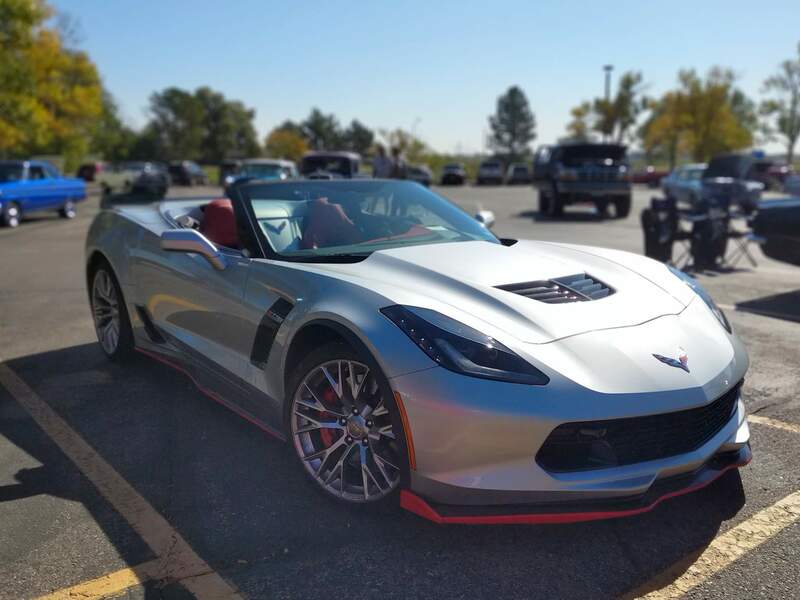 It was a significant enough upgrade that you’d be excused if you mistook it for a seventh-generation Corvette from fifty feet away. Speaking of which, there was a C7 Corvette convertible, replete in colors similar to the Specter GTR’s. 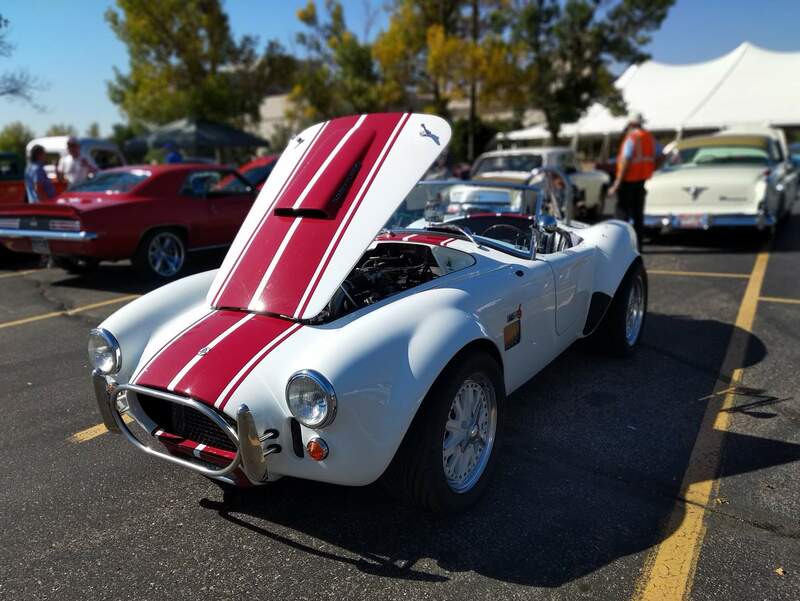 Saving my favorite for last was this white Cobra with red racing stripes. 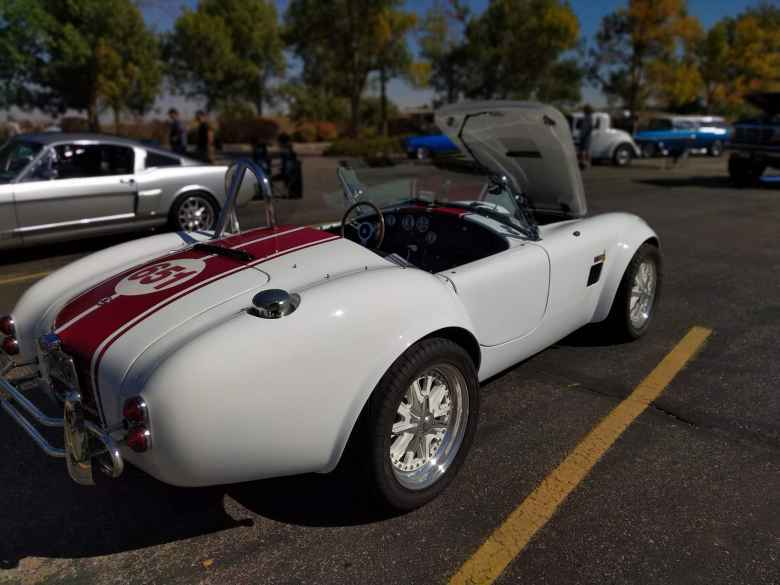 At first I wondered if it was a CSX Cobra Continuation Series since it looked like the body was metal instead of fiberglass and there was a Shelby American CSX 2601 placard in the engine bay. But the Buick engine and H&M automatic shifter gave it away that this was a replica. That is a lot of nostalgia for the legendary V8-powered, swollen-fendered British-American roadster adorned with depictions of the head of a snake.